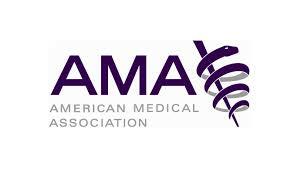 New Orleans It’s easy to see why the American Medical Associations, the powerful AMA, the doctors’ closed shop union, wanted to keep the wraps on how doctors collected $77 billion worth in Medicare payments from the nation’s elderly. There’s just nothing that seems right about one single Florida-based ophthalmologist raking in $21 million all by his lonesome. Hey, the eyes have it for goodness sakes, but he’s not doing brain surgery for crying out loud, but luckily all of our eyes are now going to be on his practice to see if it he’s padding the bills. 143,000 elderly are getting treatments for macular degeneration that cost over $1 billion. These treatments can occur as frequently as monthly and involve a shot with a needle into the eyeball, which I know from my own dear mother, is also very painful. Meanwhile there’s a drug that may be just as good and that is a whole lot cheaper and perhaps less painful as well. I’m not saying these docs are putting a bunch of old folks through the ringer, but I definitely want to know for sure that this is the right thing they are doing, so having a lot of light shining on the issue is very important. It was also pretty shocking to see that only 2% of the doctors sucked up nearly a quarter of the payments totally $15.1 billion of the $77 billion. Maybe there will be a big argument about inequality among the docs now, too! As this kind of information for doctors, clinics, which were not included in these totals, and hospitals is processed, I have two feelings. On the one hand we’re going to finally have some real tools to try and avoid the rip-off folks and hopefully to shame some of these institutions into dialing back some of the bill padding especially for needless procedures. On the other hand I’m already getting mad though because, frankly, I’m not convinced that any amount of shaming will impact them because so much of the medical market is based on location and scarcity and therefore can easily hold desperate patients in a predatory position with the government paying for the pain and privilege. Regulators and others are also likely to seize on some of this information to find those doctors who perform an unusually high volume of services, raising the question of whether every test or procedure … was medically necessary. “There’s a lot of potential for whistle-blowers and justified worry for fraudsters,” said Steven F. Grover, a lawyer who represents whistle-blowers who sue doctors and hospitals who they claim have committed fraud against the Medicare program. “There’s going to be a lot of litigation over this,” he said. The Office of Inspector General for the Department of Health and Human Services, which serves as a federal watchdog on fraud and abuse for the agency, released a report in December recommending greater scrutiny of those physicians who were Medicare’s highest billers. The report recommended that Medicare establish a threshold to look more closely at the high billers. Regulators have also said they are scrutinizing the use of high-paying codes in places including the emergency room. As station manager of KABF, we get to preview new music, please enjoy this new release called Cardiac Arrest by Bad Suns. This entry was posted in Citizen Wealth, Financial Justice, Health Care and tagged American Medical Association, Medicare by Wade. Bookmark the permalink.